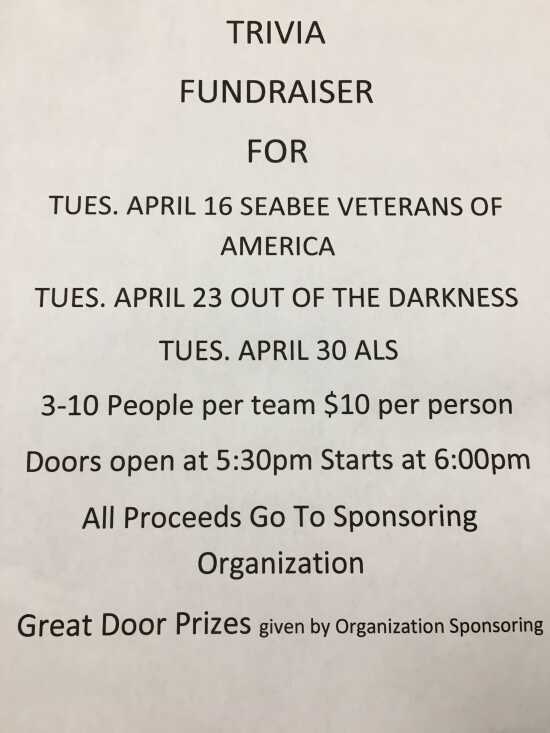 Tuesday Trivia at the VFW Post 3838 & Auxiliary. We donate our building to organizations that need to raise money for their group. They also receive all money they raise on their Tuesday. It is up to the group to supply door prizes. $10 per person. Three to 10 people per team. We play 6-8 games with different catagories and 10 questions per game.